Installation. A prefabricated cabin like those used as a sales office for real estate development, with the following elements: exterior logo of the alleged construction company, eight framed billboards, an adhesive wall poster and a 5-minute promotional video. The yet-to-be-declared real estate bubble was one of Ugalde’s main topics of focus during those years. 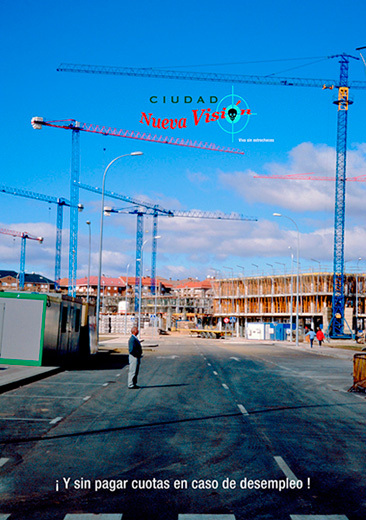 At that time, an alleged estate agent’s outfit, Ciudad Nueva Visión, was presented. Its logo contained a skull. 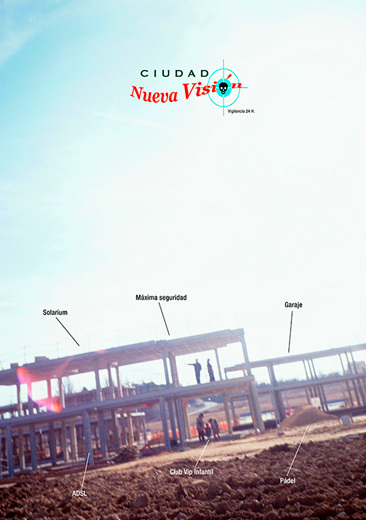 This estate agent made its offers using photos and videos of the developments being opened on the outskirts of Madrid: no fees for the unemployed, ADSL in the shower, VIP Club for children, guaranteed by Meganova Express Non-Sustainable Development and financed by Estrujenbank. 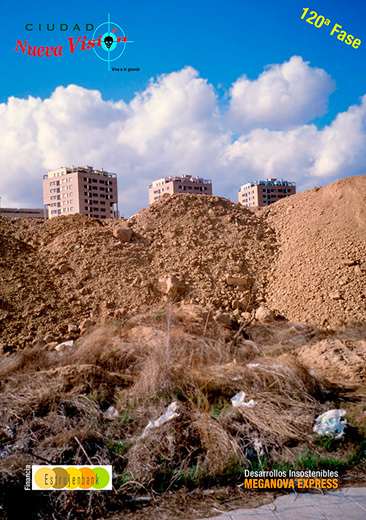 It was originally to be displayed in PhotoEspaña 2005, whose topic that year was "the city", but in the end it was not shown on the street and ended up inside the Centro Conde Duque as part of the exhibition Empiricisms.